What does amount of Supporters imply? A supporter means: a contribution of $250. Some paid it all at once, most people will pay this as a subscription in monthly terms – during the production. Then what is the $640k (500k EUR) target for? What do I benefit from this cloud? That goes for data, assets, scripts, software, movies, tutorials, and so on. We’re building the world’s largest Creative Commons collection for 3d artists. Dozens of hours of high quality video training is being uploaded. Blender Institute is committed to keep this updated, by the best of Blender artists, including people from the open movie projects. All the previous open projects, and the current running project(s) will be available here. Huge asset libraries! All cloud subscribers will get means to access the same back-end production system as being in use by the 60-80 people who work on the film. Watch the progress, share it, discuss it. We’ll also study on efficient ways for you to participate with the makers. Because the Gooseberry film teams use Blender Cloud, they will test loads of interesting features that will become available later for everyone. Think of automatic updates (binary, scripts), asset browsing (in Blender), but also storage and versioning in cloud, sharing it, starting a project. Even rendering services! Why do I have to pay EUR 45 (USD 59) for the first three months? We combine the launch of the cloud with a fund-raiser for the Gooseberry Movie project. For this we need a critical minimal budget. We also want to make sure people will stay on board for three months to see how awesome it is. After that, it’s going to be dynamics of an open market – are we interesting enough for you to keep the account active? We’ll prove that! 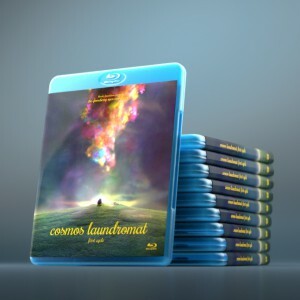 The cloud will offer over 200 Euro (250 USD) worth of Blender e-store DVDs. It’s a good deal to get everything in a high quality service with good bandwidth available this way. About 70% of the money goes to Blender artists (the Gooseberry movie, tutorials), 20% goes to the coders to support these artists, and 10% is overhead (internet services mainly). When Gooseberry starts, you will have about 60-80 full-timers work here – for you! Why not combine Cloud with the Development Fund? Development Fund is by Blender Foundation. The money goes directly to developers, on projects benefiting everyone – including support, bugfixing, reviews, etc. Blender Cloud is by Blender Institute, it is for services for users – to get training videos, our open productions, but also asset browsing, or sharing data even. The first is public benefit – and taxfree. The second is commercial, with sales tax. If we do the Cloud well, funds will clear up in the Dev Fund a lot, so we can support projects that otherwise would fall behind a bit (for game artists, vfx, etc). Can we subscribe as a team, company or school? We offer team accounts (3+ people, 25% discount) and corporate accounts (10+ people, 40% discount). Activation of these accounts currently goes manually. Contact cloudsupport(at)blender.org for more info. We’re also interested to connect with schools and colleges about getting their students involved with Gooseberry via this system. Connect with us! When are all DVDs going to be added in the Cloud? As soon as possible… we are working around the clock on getting the campaign fully functional. Let’s say – before March 31st. What about the Cookie and CGMaster dvds? The goal for the Blender Cloud is to stick to free/open material only. For training, that means we only will share Creative Commons (CC-BY or CC-BY-SA). I want to pledge with a credit card without being charged. We started the campaign with only PayPal working, but now credit cards work as well. This is all safe, secure, and PCI compliant. Go to cloud.blender.org/gooseberry/ and pledge today! Why don’t you include Cloud access to the film credit pledges? We’ve been advised by our accountants to separate donations from services or products. The first we can book tax-free, the latter we have to pay 21% sales tax over. Do I also get a credit if the film production takes longer than I8 months? We will make hard copy boxes of the film in a lot of different formats. That can be for NTSC DVDs, PAL DVDs, or HD film on DVD-ROM, film on Blu-ray, film on USB stick, and even 4K (UHD) Blu-ray or USB sticks. This can be for the film only, for the film with documentary, or special edition boxes with a lot of extras and film data. The amount of variations that are possible for hard copy boxes makes it very difficult to sell them right now. And you know – we can only deliver this in two years time. It is more appropriate to only ask you late 2015 what format or versions you prefer to have. Instead of selling boxes now, we just give every Supporter (donate 20 EUR or more), a discount of 20 EUR on purchasing a boxed version later. I don’t understand everything: the project needs 1.9 M euros and the goal of the funding campaign is only 500 000 euros? The target is to get 10k subscribers, they will pay 45 euro up front (is almost half million), and then after three months they will contribute each month 100k euro, for a period of 15 months. That makes a total of 1.9 M euro possible. I miss an overview of development targets – I mean, wasn’t his project meant to make Blender better? Certainly! Open Movies is still the best development for 3D software ever! You can read an extensive blog post about it here. How do you get this number of 10k people, are there really enough people visiting the website or contributing to Blender? We have statistics that support this number – and that it is a possible goal. One is the “conversion rate” per visitor on websites. Blender.org gets about 10 M unique visitors per year. So we need to get one 1 of 1000 visitors to support us. Not an uncommon conversion rate for non-profits. We also checked the amount of people who supported us in the past. E-shop clients, donations, people who supported Open Movies. For example – the Sintel DVD box was sold over 5500 times. I know it’s a big project, but you’re risking scaring away people like me, by asking 175 euro for a film credit. However, I am willing to put in 45. Put in 45 now, and decide in 3-4 months if what we do is worth putting in 10 euro per month? You will at least get the 20 euro discount on a great film box we make end 2015. I’m also scared – but only to fail making a decent quality film with an unhappy team because of a too low budget. We better do it good. Or not. Why was the campaign clock set to 41 days? We use PayPal pledges, and that money you can only return without charge in 45 days. It’s really going slow – shouldn’t it have started better prepared? Maybe, yes. But we are used to do things open and in public – and use feedback and support from everyone to get things improved. This has to become our project together, and better make sure everyone goes for it! – Up to like a month before the launch I was still keeping the option open to just raise 500k euro, and make a film for 1.8M initial budget. That option has been defined to be impossible – we increased the budget and ambitions a lot. – We were ready to go via Indiegogo – but they advised to not try to raise more than 500k dollar. Their platform is also really not suitable for the Open Production goal we wanted to present – with the cloud offering. – We had a great grant to present Gooseberry at the SXSW show. Preparations started 4 months ago. We couldn’t postpone this without losing credibility and frustrating subsidy and sponsor contacts. – We didn’t get direct credit card charges approved in time (for Pledges). I’m worried you don’t make it. What happens then? Honestly – this is not a desperate action of someone who sees no other way to make a film. This project is a true and honest attempt to work with the Blender Community – on writing another chapter of filming history together. Are there 10k people who want this? Who knows… but if there are, it will be a fantastic adventure! If not, nothing has been lost really – but we won’t make an open feature film together, that’s sure. Instead other interesting projects can get cloud-funded: updating the tutorial videos, and probably another short film. The clock ticks, would you extend the deadline? Why do you think it’s still possible to reach the goal? We have a couple of actions prepared to further boost the attention and accelerate the funding progress. That includes contacting 1000s of active supporters from previous projects, videos of me and others addressing the community, support statements from people, and much more actively contacting press outside Blender channels. Once we get real credit card pledges work, it’s actually day 1 again! The director and writer – supported by everyone – are working on a compelling story that holds all the different team styles wonderfully together. We don’t want it to become like Animatrix at all – which wasn’t a movie even. What quality can we expect? Like, compared to Sintel, or a Pixar movie? As magic number for budget calculations, I use the “Months of work per minute of film”. This is including writing, coders, art, production. For Big Buck Bunny that was 6. For Sintel it was 10. For Gooseberry we daringly want to go to 15 even. For a Disney or Pixar film, this number is easily 300 to 500. Go figure! But our film will be better than Sintel or BBB for sure. You claim that 3.5 million euro is the minimum film budget, and 6 million euro is the target budget. What is this money used for? When I started up Gooseberry last year, I tried everything that’s possible to prove we can do a decent feature for around 2 million euro (2.5M USD). Later – with the teams on board – this just proved to be impossible if we want to do something serious. I want professionals, small companies, people who want to grow mature business – and then a humble pay of 2000 euro month (employer costs) is really the minimum. And is laughable low even. Even though everything will be free/open source, we will reserve for the final movie (renders, final edit, grade) a short period of exploitation. That ‘window’ is 3 months, starting at the official premiere (our own, or on film festival). Film distributors can pay us for the exclusive rights to show the film in theaters during that period. Or TV stations, or Netflix! After that, all gates go open and we release it as CC-BY for everyone. Benefits of this exploitation will go to the makers, and to the Blender Institute to fund new Blender projects – in the Blender Cloud! It doesn’t appear that the goal will be reached as things go… It does appear that everything was ill prepared, I am sorry to say that myself. I subscribed to the BC although I already participate for more than two years to the Development Fund and Blender Cookie. I had faith and still do. Not asking for a refund. Hopefully all this will be rethought will a bit more seriousness for goals that are attainable. Best of luck and thank you for the opportunity you offers to each and everyone of us. Thanks for the support, we won’t disappoint you – and probably surprise you even! I missed the funding window for the last project and only found out about the Gooseberry Project by happy accident: decided on a whim to visit the Blender main page this week. I would appreciate hearing more from the Blender Foundation. Hopefully there are many more people out there that would also jump at the chance to fund projects like this… if only they knew about them! :) It’s definitely worth e-mailing past supporters about this and/or give us an option to opt in to receive future push notifications. I will email (nearly) everyone who has contacted us in the past. There will also be much more press in the coming weeks. I want to thank you continuing to push Blender further into 3D history and I am a happy supporter of the Blender Cloud and believe in this project. I realize the concerns but I have always agreed with this motto: “Nearly everything is impossible until someone does it.” — Now let us go and do it! it’s really a project that will move Blender forward and not just that, it can potentially create a new model for independent film production, I wish I was a part of it ! The budget is not unrealistic and it can totally happen. I would just like to share my point of vue about supporting, because it’s possible that I’m not the only one in this position. I made a donation instead of subscribing to the cloud, even if I find the concept interesting. Here’s my reason, I supported all blender short movie projects in the past, I purchased some items in the store, I feel I already have all the important content, and I don’t want/need more training. Did you consider there was a lot of other followers in this situation ? Maybe the cloud can also offer something to people like me, but I don’t see it right now. I don’t know, maybe I would subscribe to access an exclusive documentary serie following your teams like what was made by Double Fine’s adventure game, just an idea. And I would find it clearer if the “gobal” cloud and the “goosbery” cloud were two different things, I’m not sure. Anyways, it’s always a good sign that you have a good number of younger, non-professionals, or non-Hollywood, who are downloading blender for free, as they are the future of this industry. If the contribution goal is not met, i would still love it if the gooseberry studios would produce their videos. Maybe not all at once, but released as short form episodes that seem to be Blender Foundation’s bread and butter in the past. I can’t imagine a world without it, with all of it’s crazy awesome features, it’s ability to create reality from scratch, or it’s ability to pull in people from all over the world in a united cause. I know that I personally have used Blender for everything from video editing, compositing, physics simulations, game assets and even 3D printing. And I’ve been doing so for nearly a decade now. So when Ton asks me to help out how could I refuse? Of course I subscribed, to help make a piece of history. I signed up before I realized I would even get cloud access. If there was no Blender, I’m sure I would have paid far far more for software that I had to cobble together myself, and the countless updates I would have been through. And countless frustrations as commercial interests would leave me high and dry. Every time I download a new version of Blender (Or compile it from trunk ;) ), I am always amazed it’s free. I know there aren’t as many options for helping out this time, and I know it adds up quickly. If I couldn’t afford it this time, I would certainly help out the best way I can: tell everyone I know and help make it happen. Which of course I am doing anyway! So, I am happy to watch an open movie take place, and happy to subscribe, because I want to watch Blender make magic yet again, and watch the amazing improvements that will come with it. I want to help all the Blender superstars do what they do best, and I’m sure you do too. Thank you Ton, thank you Blender! I’m not that experienced in using blender, been using it only for a year now but i’m so excited about this software and its community. A lot of years I tried to improve my skills using 3dsmax but it was very hard to stay focus and motivated beside my dayjob as an structural engineer. My passion is 3d and because of blender and its community I got my motivation back. So thank you for that. I think that the price is reasonable and it’s a small thing I can do to support blender. Besides, you get a lot of it in return. Hopefully I can contribute to the movie in some sort of a way, besides a subsciption of course. Keep up the great work blender. Even perhaps in 30, 60, 90 min steps. You know if Blender studios are fairly cheap to produce a movie – presently anyway – then there is likely to be an investor somewhere provided the movie can be marketed/sold to public audience and for a profit. BF ought to be considering how undertake a movie, in modest part funded by community, decent part from Dutch film assistance and large part from investors IMO. Anyway keep up the good work. I have been approached by investors/studios already since Elephants Dream. That’s not the target. I want to do this with the community: to make their film, our film, my film. Yes, and that’s the ambitious part! Making a film with money from studios/distributors or investors is not. That’s feasible and quite boring even. I don’t see what the great aversion to investors is. Why do you already turn them away? In the practical world I don’t think it is possible to raise the sort of money you need for a full movie just from the community. We are very fortunate the Dutch film grants make possible the previous movies. If you find someone to give you $1m on the understanding they get $1.15 back say from TV rights or whatever and it allows you to make pretty much what you wanted without being in the pocket of a major studio for $100+m and constrained to making a puke ‘please everyone’ movie then I think such a deal ought to be considered else you end up cutting your nose off to spite your face. Anticipation of some personal boredom ought to be put aside for the greater good of making the Blender Studio happen. I know you are strong willed Ton so perhaps it is not so much boredom as independence that is sought. If the movie does very well, and why wouldn’t it after these prior warm up short movies, where artists have always delivered despite all, then BF can also take in some funds from the success for future movies. I think you worry unnecessarily about commercial invasion and pressures. Blender movies are different being open and funded from donations, grants and I think they can attract a type of investor who is sympathetic to the free artistic spirit. The funders or investors who like our open production concepts are welcome. Question for you: are you going to pledge or join the subscription system? No sorry I’m not Ton. I am not much interested in this movie as seen in the trailer. I am an old guy . It doesn’t appeal but I liked Pixar’s UP ;) Also making a subscription gives difficulties where I live because I need to send a minimum amount in foreign exchange via bank transfer each time and I will lose twice if you end up refunding. I will be willing to make a one off donation to BF for usual development soon however, maybe a 100euro or so, but not this month because of bills to pay. BTW: Please consider to donate, pledge or join the cloud. If we don’t make it, you can get it back anyway. I’m waiting for the confirmation! I am donating a projects proccedes to the blender foundation, goosberry or not, This projects goal is to produce a stream of ad revenue as well as publish mit 3.0 cc game files. We are nearing map production, with gameplay mechanics and locomotion already nearing completion. Online ad distribution and game store, with fanmade items. This is probably me being a typical mathematician… but what exactly is the goal? The emphasis is on the 10K people, and the maths behind it suggests it has to be the primary measure, but you also have the total donations. If the subscribers bar were to fill and the donations bar were to fall short would that still be considered reaching the goal, or, as is looking more likely right now, if the donations bar were to fill up but the subscriber count fell short, would everything still be a go? Given how close things may get this may actually matter! We aim at getting both to fill up. The 10k people is my challenge to the Blender community and open source movement out there. Are *we* going to make a difference together, or do you want the Mark Z’s of this world to define what happens? Dare I suggest that the slow rate of donations is due to the chosen subject matter? Am I the only person who’s had enough of little gooey / fluffy cartoon characters with big eyes? After the fantastic Sintel (I bought the DVD), I was really hoping to take part in the next Blender project, but the trailer and publicity for Gooseberry leaves me cold. On BlenderNation we often see some very realistic renders of ‘human’ characters, and some stunning architectural work. So the Blender Foundation should have done something that none of the big studios *dare* to do – create a ‘real’ human character that can become the virtual star in a film, and future films. Perhaps a handsome man and a beautiful woman, with the story set in a city filled with stunning architecture? Now that would get people talking, and donating. We are doing this for the lowest budget possible – so we better take the freedom to work in a style that’s efficient, and which allows to get the story told well. The film will have a great script, with promising and daring events – way beyond what we did before. And who tells you only fluffy animals are in it? Realistic acting humans in CG is interesting, but I wouldn’t know how to do that for no budget – unless you want something horrible creepy and uncanny. Last but not least: main target remains support for open source, open pipelines, open production, sharing, training, and to help pave the ways so everyone can make films easier, cheaper or faster. Including your film! Really, think about it this way, even if the film is not up to your idea of perfection; 179 EUR is not much in the software world. For any commercial software at the same level of blender, even an update would usually cost this much; so if this project brings new development (new features for you) to blender, that’s worth the price alone. Your video message worked for me, and reminded me of the amazing dedication that you have given to Blender over the years. Blender has also made my very technical job far less boring over the years; sometimes the chance to do some product modelling in Blender has been the only thing that stopped me looking for a new job! So even if the true nature of the Gooseberry movie must remain a secret, I have just signed up to Blender Cloud anyway. Good luck with Blender development for many more years. Here’s a question- has any effort gone into getting any media outlets to cover this? Word of mouth is great, but from what I’ve encountered, it usually takes a major news source, or a celebrity to open up the cause to a wider audience. I think this stays away from the major donors/corporations that Ton has said he’s not as interested in, above, but allows many people that don’t keep up with Blender to hear about it. If it’s pitched right, I could see a whole bunch of people who are interested in open source and even technology in general getting involved in a small way (lots of people, smaller donations, right?). I’m thinking something like a short article on wired.com, or reaching out to leaders in the tech industry to tweet about it. I mean, it would be great publicity, but this project is also just an impressive milestone that people should know about. Hey, yeah, hell, that’s seems to so fantastic, scary, and tremendously impossible, that I’M IN! :) Let things go, let’s see how this crazy idea work! So, I’m IN! :) If you need my money, well. You are well worth it! With love and confidence! GO! first of all congratulations for all the work and hope the gooseberry project finally comes to live! Just one question…Is it possible to download the training videos from the blender cloud? Allready own an account but can´t see where the download option is in case the option exists at all. I think there need to be more perks like cameos and a forum in which you can give ideas but you must agree to license your ideas under CC0 Also is is it possible to sell equity?Last but not least will the software Blender be in the cloud? It’s a pleasure to be able to return to Blender what it has in the past given to me. I am certainly looking forward to watching this project develop. The price is irrelevant to what is at stake, and that is open and free creativity. Is there a way that, if for some reason the goal is not met, that the institute keeps our contribution as a donation? Thank you, Blender Institute, for making this happen! You will make it. I’m sure of that. 2. why didn’t you launch an official recruitment? I mean, if it is a paid work, maybe a lot of studios and artists around there would like to apply for this. Anyway, I’m very surprised the 10K people was so slow to get. I think this questions aren’t the main issue. Many people like to invest in a story, you like or dislike a character, a plot… For now, I’m sure I want to invest in blender, but I want my money to go only to dev, not to a story I don’t know anything. I am worried a little by how the money gathering process. I doubt 10k people would like to subscribe to Blender Cloud for period of 15 months. Maybe you could try to focus on “selling” the film, and not the development for Blender, for the public outside our community ? And maybe try to make in on a popular platform, like KickStarter. I just shot some questions about the promotion of the project and it’s funding to the gooseberry page on G+, not sure who maintains it, but I would appreciate it if you had a second to see some of my thoughts about how I, and others, could help progress the campaign. Unfortunately, the features mentioned are not something I feel Blender needs and is a reason I won’t support it and never will till I see some real improvement being introduced to the learning curve and entry-level side of Blender. Simply…. I AM IN! Go ahead!! I am in too! let’s do it! I signed up for the 3 month cloud subscription today. I see all the videos listed but everyone I click on says html5:video not found. How do I go about watching the training videos? Do I have to wait until the pledge time is over? Nevermind. I had to scroll down to see the download button. Why do I put it this way? What doesn’t do it for me is fluffy animals – sorry. I would have rather seen something more robotic like, as this can easily incorporate more futuristic aspects and considering this film is some way off yet it might help sell it more? Is this project only going to be word of mouth advertising? All the best and let’s hope this style of movie release paves the way for how people across the world experience movies in the future – the next step being allowing people to drive the story line – hey, we could even have a movie where the public develops each section of the story as it unfolds – like a self directed mini series – I mean if we develop blender far enough it could turn into a real-time or near real-time development platform – isn’t this the ultimate goal for development if one extrapolates it to the nth degree? Currently working on a short film that would have been literally impossible for me to make without Blender. Its pretty incredible that such a powerful program is available for free. I think I joined this on day 3 (or earlier? I cannot remember) and am happy to see that already 3,000 people have decided to join the campaign. Hopefully the extension will get us nearer the goal, however, if not – there is already a lot of support in the queue to allow for an alternative project as well. I keep my fingers crossed! Is bitcoin donation counted to the pledge target? Generally I prefer to donate (unconditionally, not only pledge) vith cryptocurrencies rather than corporate payment processors with totalitarian practices, however I’d like to contribute to meeting the target as well. I’m new to Blender but can see the obvious benefit the Gooseberry Project will have for software development and the community. I am more than glad I pledged to support this project and am not going to get distracted with arguments about learning curves, story lines and supporting artists/coders because the proof this matters is Blender exists. I pledged, glad to contribute back for my use of Blender over the years. Blender has been very important for me — all the way from artistic endeavors, social connections, to even learning how to code. However, while community donations to support a revolution in film development seems nice, I’m somewhat doubtful a gift-dependent kickstart is sustainable and might even be detrimental to long-term success. Honestly, crowdfunding seems almost anachronistic compared to the times of the original “Free Blender” campaign. A lot has changed since 2002, and Blender is arguably mature with a thriving artistic and programming community. I wish the Blender community would have rather opted to support a cloud rendering service first — providing a good revenue stream for the Blender Foundation, in addition to meeting the needs of users with limited computing resources and studios alike. Ultimately this could fund incredibly important experiments for now and the future. I think BF is missing out on an amazing opportunity to become partially self-sufficient for starting and nurturing these historic projects. I only recently found out about this, and I’d love to help… but, I can’t afford the initial amount. Is there no way to join the cloud subscription service itself, as in, start paying just the monthly fee? I can do the monthly fee, but I can’t do any more than that for the time being. The top of the page also shows that the campaign has wrapped up, but I can’t find any options of joining the cloud service without a donation to the film…. Cloud subscription still is 45 euro for the first three months, and 10 per month after that. We will keep asking this for a while, the service we use is expensive and a lot of people get paid from cloud income to add more content there. NUMBER #6: ASSASSIN’S CREED BROTHERHOOD (RELEASED NOVEMBER 16, 2010). We can play our own favorite games, on our very own Mobile Phones. We also have expert teams working on other flash application development applications such as social networking websites, information websites, etc. Tried to subscribe to blender to support blender and open projects. Checkout is not working, so i contacted cloudsupport/strore. Unfortunately there’s a bug in the system that everyone who likes to create a new subscription can’t completed the order. it has helped me out loads. I am hoping to contribute & aid other users like its helped me.